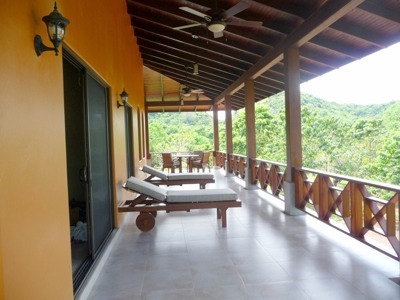 Punta Dakota is located on the mid-southern tip of the Nicoya Peninsula in Guanacaste, Costa Rica. The area, while still remote, is known for its beautiful beaches, soaring green mountains and wonderful people. 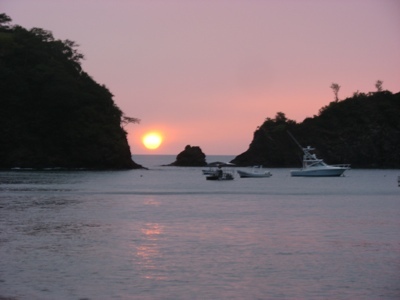 The region features everything from stunning nature reserves and national parks, to world class hotels, quaint rural towns, amazing sunsets, and some of the best surfing and fishing on Costa Rica’s Pacific Coast. In addition to the usual water sports, the area offers tours of jungle canopies, volcanoes, and waterfalls, horse-back riding, and world renowned bird watching. The development was started in February 2009 with a master plan of five luxury villas, pool area and commercial complex. Villa I and the pool are now complete and ready for occupancy. Over 380 fruit trees have been planted on the property. You will be able to harvest your own bananas, mangos, avocados, oranges and more. Flowering plants, native hedges and an abundance of sheltered areas attract native wildlife. The infinity edge pool and hot tub is over 36 feet long. Relax in the pool while taking in the view of the landscaped lagoon, fruit trees and gorgeous sunsets. A landscaped path winds by the mangroves making for an easy stroll to the Pacific Ocean and Playa de Coyote. Here is a wonderful place to play in the surf, watch the sunset or sip your favorite cold beverage as you stroll down the beach looking for shells or driftwood. The Villa is approximately 4600 square feet that has four bedrooms and four and a half baths. Each spacious air-conditioned bedroom suite includes a luxuriously appointed bathroom. Modern appliances complete the kitchen along with all of the cooking and serving-ware needed to entertain your guests. Custom-made furniture and cabinetry from local sustainable hardwoods compliment the soaring wood ceilings. Satellite television and wireless Internet provide all the comforts of home. Wide sweeping verandas surround both floors of the Villa and provide calm, intoxicating views of the surrounding mountains and professionally landscaped grounds. The east/south orientation takes advantage of the ocean and mountain breezes and the large ceiling fans provide a constant air flow. 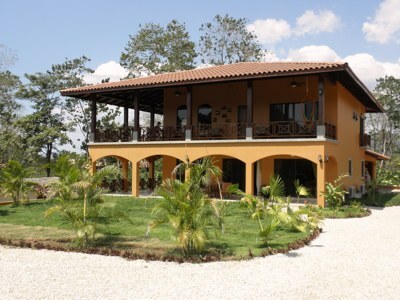 Ownership at Punta Dakota is being offered in 1/13th fractions (28 days per year) for $110,000 USD. The shares are held in a U.S. Corporation that in turn holds a Costa Rica Corporation that owns the Villa. 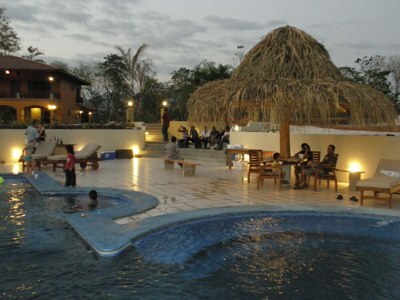 Special Offer: Visit Punta Dakota between now and May 31, 2010, and Punta Dakota will refund $500.00 (USD) of your airfare. (One offer per family.) Should you decide to purchase, you will receive a discount of $2,500.00 (USD) per share. Contractual paperwork must be signed prior to May 31, 2010. This offer is exclusive to Luxury Fractional Guide subscribers — click the link and fill out the contact form to qualify. Act now and take the first step towards owning your own piece of paradise! I hope you enjoyed learning about this spectacular property.